At Paraclete Inc, we make it our business to ensure that your business is a success. No matter how good your services are, a poor search engine campaign can be a hindrance to reaching your ultimate potential. Our team of dedicated SEO and internet marketing experts will work together with you to create a campaign that is tailored for your specific goals. We have over a decade experience in various areas of SEO and internet marketing. Joining our expertise with your business goals will help create the perfect marketing campaign. With every client, we begin by doing an SEO audit on the website. This will give us a clear picture of the present state of the website before we begin our work. It also helps identify areas that may require immediate attention, so as to start with those. This report is shared with the client. Our on-site team will then begin making any onsite changes that need to be made in order to improve ranking. 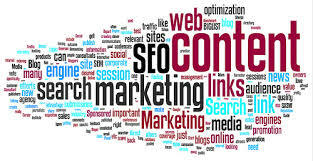 Depending on your goals and budget, we would also start a link building campaign for your site. This will help drive more organic traffic to your website. All our links are created using white-hat SEO methods that have been tested and improved over time. These will ensure that your site does not suffer from Google updates and penalties that they may bring. We have a team of copywriters with wide range experience. Their articles are proven to drive in a steady stream of organic traffic and sales. If you wish to enlist their services, that can also be added to your campaign. Most of our article clients, have a set amount of articles that we create for them every month. This means that their websites are constantly being crawled and indexed by search robots. All articles are unique and well researched. Our methods have been proven to increase the websites’ visibility, as well as steadily grow the traffic. All articles are written according to clients’ specific requests, targeting relevant keywords. We have a team of 3 specialists who are available to run social media campaigns and also manage accounts. Let us handle your social media, so you can focus on growing your business. Whether you want a few posts a month/ a week or every day, we can handle that for you. We take time to analyse your niche and targeted demography. This allows us to create posts that engage the relevant people who you want your business to reach. Each client is assigned to a personal manager, who will be responsible for understanding your needs and also making sure that these needs are met and you are also kept updated of all activities that are carried out to improve your results. There is no excuse for waiting, give us a call today. Send us a message through our contact form. Let us start a dialogue and improve your business today.